Procurement, supply and on-site delivery, Logistics, aviation & maritime operations, Expeditionary deployment, Construction, technical consulting and facilities management, Specialised Cyber Solutions, Training. Project design, management and risk mitigation, Business Development and proposal support in the US, Europe, EU and Nato, Logistics and supply Chain solutions, Counter Illicit Trade solutions, Strategic and tactical requirements and partnerships. Charles Kendall Procurement utilises decades of experience in support of the supply chain for air, sea and ground forces, supplying high-quality certified spares, bespoke packages, consumables, engineering items and ground handling equipment at optimum value. A Soldier Systems company designing, sourcing and supplying clothing, PPE and tactical equipment to Defence and Security professionals, with a focus on UK MOD, UK Police and specialist NATO forces. 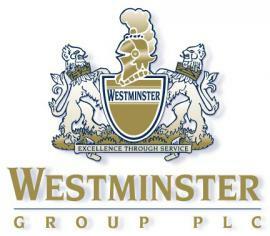 Represents a range of carefully selected market-leading brands. NP Aerospace has 90+ years of experience, providing high strength, light weight, fatigue resistant products manufactured from the world’s most advanced composite materials. We are a world leader in advanced low weight, high performance armour systems for personal and platform protection and in the integration of vehicle systems and services for military and law enforcement. Our armour portfolio includes Silverback® bomb disposal suits for bomb disposal, search and de-mining operations, CAMAC® armour for land, sea and air platforms and LASA® soldier protection covering helmets, ballistic inserts and lightweight shields. We have delivered ballistic inserts, shields and helmets to the UK Ministry of Defence, as well as supplying and supporting the current in-service Mk VI Bomb Suit and are proudly delivering the next generation combat helmet for Canada. Our Vehicle Systems and Services has designed and integrated over 800 Integrated over 800 Mastiff family vehicles, including the Mastiff, Ridgback, Wolfhound and Buffalo platforms and are currently delivering Protected Mobility Engineering and Technical Support for the entire UK Protected Mobility fleet (Mastiff, Ridgback, Wolfhound, Foxhound, Husky, Jackal, Coyote) for the UK MoD. As well as an extensive defense portfolio, NP Aerospace also delivers high performance composite solutions for applications in the medical, transport, aerospace and energy markets. Our facility includes; Design & FEA, Composite presses, Autoclave ovens, Robot mounted 5 axis water jet cutter and paint shop. We also have a CMM room and an extensive test and validation laboratory. As a consequence of our long standing composite experience, we support customers in the design, development and production readiness of their product in the most challenging of timescales. Pinnacle Response is a world-leading manufacturer of the highest quality body worn video cameras for Police Forces and the professional Security Sector. Of late, Pinnacle has further developed their portfolio and boast the likes of Rolls Royce and Chelsea Football Club amongst their clients. The company's cameras, including the recently launched PR6, provide exceptional HD audio-visual quality matched with market leading durability through design. An intuitive Digital Evidence Management System (D.E.M.S) allows the storage and review of video footage with secure, evidential integrity. These cameras are used in over thirty countries around the world by thousands of customers including UK and European Police, Local Authorities and professional Security within prestigious organisations and businesses. Established in 2007, Pinnacle Response had the foresight to realise the scope of this exciting and emerging industry and fully committed to designing and developing superior, user-friendly camera solutions and secure systems. The Pinnacle cameras and software solutions have evolved over time thanks to availing from feedback and technological advancements. Pinnacle Response started with a blank sheet and designed and developed technology that is unrivalled for quality and usability. Unlike many other camera re-sellers, Pinnacle do not simply re-package existing technology. They design, manufacture, distribute and retail of their very own unique solutions. Designers and Manufacturers of Advanced Radio Systems. Experts in: Protocol Stacks, Software Defined Radio, Linear RF Power Amplifiers, Worldwide Cellular Systems, Covert Android apps, Call diversion, Covert communications ystems. Survitec Service & Distribution Limited defence department supplies a wide range of lifting, rigging and chandlery items to the defence industry. Our defence team has extensive technical expertise in both the naval vessel field and shore based lifting equipment and rigging applications. With an extensive range of products to select from, we are able to supply single components, manufactured assemblies and turnkey packages up to and including complete rigging warrant for warships. This includes a full range of RAS transfer, jackstays and mooring applications, as well as tooling for general and damage control uses. Our technical experts can advise on the supply of items coded to NATO stock numbers as well as commercial off the shelf alternatives. To deliver a comprehensive service, our engineering team can carry out rigging work on site, including the erection, maintenance and repair of assault course obstacles for both the armed services and outdoor adventure establishments. Our fully equipped rigging shops have the capability to manufacture a wide range of equipment to meet your needs, including rope assemblies made from steel and stainless steel wire rope; three strand, eight strand and twelve strand ropes; as well as braid lines in materials such as Polyethylene, Polyester, Polypropylene, Polyolefin and Dynema (HMPE). We are also able to provide natural fibre ropes and assemblies using Sisal, Manila and Hemp, most of which are available from stock. Our product range also includes essentials such as pilot ladders, scramble nets, safety nets and slings. 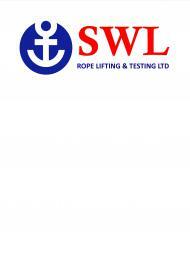 SWL offer hire and sales of a full range of Lifting, Rigging, Chandlery, Manual Handling and Height safety equipment. We repair and test hydraulic equipment and we offer Destructive and NDT testing. We design, manufacture and install height safety systems. We are approved by Bureau Veritas to inspect and renew ships LSA equipment. We can test upto 700t on site and upto 100t in-house for both compression and tensile testing. Established in 2001, VestGuard UK is a young, dynamic company, which has developed quickly to become a leader in the design and manufacture of ballistic solutions. With a factory in the United Kingdom utilising advanced technology and high quality materials, VestGuard is committed to deliver on-time tailored ballistic solutions for every customer, as well as investing in the latest research and technological innovation. VestGuard have a dedicated team for Research and Development, who are constantly working to better ballistic testing results, which are already up to 60% safer than the current NIJ ballistic standards. These pioneering ballistic solutions ensure that we are at the forefront of ballistic engineering. This was highlighted when VestGuard became the only British manufacturer and supplier of Body Armour to be certified to NIJ Ballistic Level IV. VestGuard are approved suppliers of NATO, United Nations and many foreign and domestic government organisations. Wesco Aircraft are the leading independent distributor of hardware, chemicals, electricals, bearings, machined & fabricated parts, tooling, raw materials & composites. Providing innovative solutions through kitting and services to the Aerospace & Defence industry.